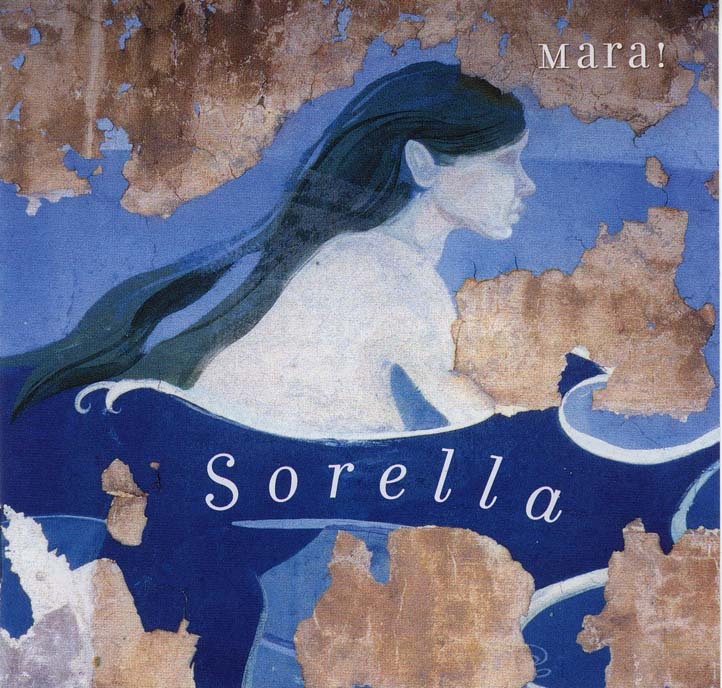 Recorded at Sydney’s Sony studios during 2004 and 2005, Sorella was produced by Guy Dickerson and Llew Kiek, engineered by Guy with Ross Ahern, and mastered by Don Bartley at Benchmark Mastering. Sorella features 7 original and 5 traditional pieces, and contains many moods, from exuberant and ostentatious to pensive and lamenting. The title track is from the new full length work "Tra Parole E Silenzio" written by the band for Mara! and Martenitsa Choir to perform together. "The Mara! band’s eccentric blending of eastern Mediterranean folk with jazz has become even more seamless. Immediately standing out here is the title track, Mara Kiek’s setting of an Eduardo di Giovanni poem (in Italian) about a brother and sister looking out for each other in dark times. Against an edgy repeated bass figure from Steve Elphick, Llew Kiek’s guitar provides the gleaming shafts of light and hope that shine through the words, while Mara’s voice blends resilience and tenderness. Elphick shakes the very foundations of the haunting Por Ali Paso Un Cavallero, featuring a penetrating Paul Cutlan clarinet solo, before the band returns to something closer to its original Celtic roots with Llew’s setting of John Shaw Neilson’s The Green Singer, wistfully sung by Mara. The bulldozing vocal energy of the traditional Turkish Ey Sahin Bakislim erupts after Llew’s solo baglama introduction, and precedes a duet between the saxophones of Cutlan and Andrew Robson. A brilliant successor to the band’s previous excellent output."